Just a reminder, the Always Uttori Subtleween Contest goes through October 31, 2016. The rules are simple. Become a subscriber, or Follow Us on Instagram, and share your Subtleween costume for a chance to win $100.00 Amazon gift card. This is Subtleween. This is Subtleween, subtleween, subtleween, subtleween, subtleween. . . On this blog, we call home, everyone hail to the Subtleween song. (Sing in your head to the tune of This is Halloween. Or, you know, don’t. I’m aware that I’m being geekily obnoxious at the moment). Today’s Subtleween look is Jack Skellington. The Nightmare before Christmas is one of my favorite movies. Perhaps it appeals to me because similar to the paradoxical nature of the INTJ, this movie is paradoxical. Is it a Christmas movie? A Halloween movie? Or both? In my opinion, there’s no better character to do a Subtleween riff on than Jack Skellington, the Pumpkin King himself. For the INTJ mastermind, The Nightmare Before Christmas has mastermind lessons aplenty. For example, even though Jack is most likely an ENTP, INTJs can relate to Jack’s relentless need to know and understand something. Not understanding the concept of Christmas, Jack turns to the scientific method to gain a more complete picture. Ultimately, he fails because he focuses on copying a system without true understanding of the system. While INTJs are masterminds because we’re good at systems, there are times that we can be tripped up by a system as a result of not developing all of the capabilities we need to be successful. We tend to think that success is the result of applying rationality to everything. However, sometimes things, and people, don’t make sense. As we talked about in Part One of our new Mastermind series, abilities must be developed before they can be used to help achieve goals. Another important lesson is that, to be a good mastermind, you must accept that you cannot control everything — no matter how effective you are. The true mastermind creates contingency plans for when things go all pumpkin spiced. Hope you guys like Jack Skellington as a Subtleween costume. 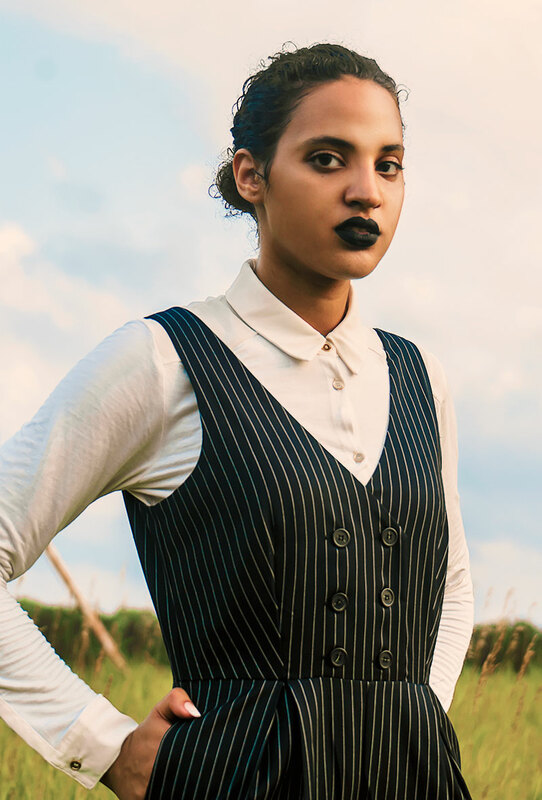 In the meantime, while you are developing you mastermind skills, channeling Jack Skellington can help you look as fierce on the outside as your mind is on the inside. Neutral colors and a menswear/tomboy inspiration feed the INTJ aesthetic. And of course, jumpsuits are so effortless. You don’t have to waste your precious cognition on adding anything but shoes, which is good because you have more important matters to think about, like the true meaning of Christmas, and the best way to heist the holiday away from Santa. It’s already started . . . Halloween isn’t even here yet and I’m getting Christmas catalogs! It’s the INTJ nightmare before Christmas!